Manufactured in ex-URSS from 1981 until 1982. 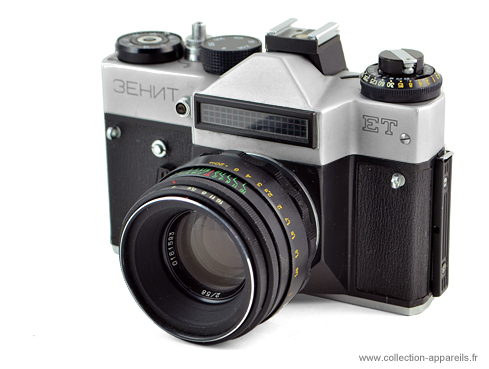 By reusing the same Zenit E body dated 1965, the Russian manufactured this camera with uncoupled external cell. It was produced in black or chrome. If we consider its serial number, this device was manufactured in 1984, which means before the transfer of the production to Belomo.